A 16 and Pregnant dad with a long criminal history is back behind bars after a disturbing incident at a Texas hospital. Joshua Drummonds— who is best remembered for appearing on Nikkole Paulun‘s episode of “16 and Pregnant” during Season 2– was arrested on September 1 and charged with two felonies after he allegedly assaulted a security guard inside the Texas hospital he was being treated at. 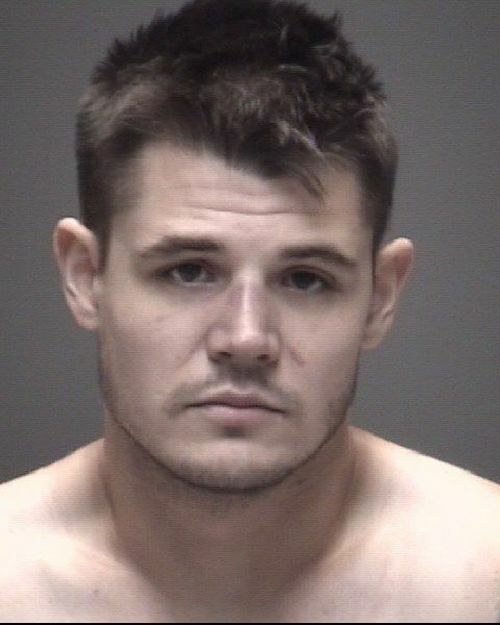 According to court records obtained by The Ashley, Josh, now 26 years old, has been charged with “Assaulting a Public Officer” and “Attempting to Take a Weapon From An Officer.” He is currently sitting in Galveston County Jail, with a bond amount of $100,000. According to Galvenston County’s Daily News, Josh was allegedly in the hospital following a suicide attempt. He was waiting to be transported to a Houston psychiatric hospital for an evaluation when the alleged incident with the security guard occurred. Daily News reports that the security guard first approached Josh in his hospital room because Josh was allegedly threatening staff members and breaking items in the room. The newspaper claims Josh then barricaded himself in his room and was “making threats,” causing the hospital security guard to force his way into Josh’s room. Josh then allegedly kneed the security guard in the groin. Josh was transported to the Galveston County Jail, where he’s been since September 1. 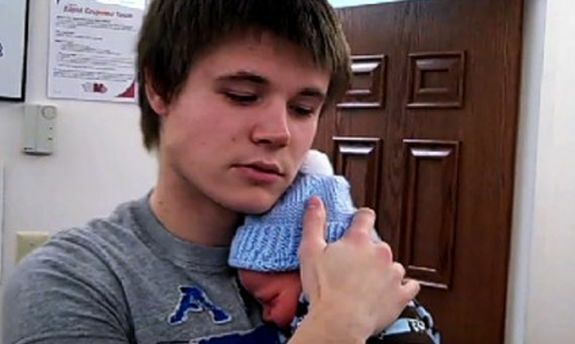 Josh, who is the father of Nikkole’s almost-nine-year-old son Lyle, has a long criminal rap sheet, stemming back to when he appeared on “16 and Pregnant” in 2010. In 2012, Josh went to prison for several years for assaulting a police officer, but he and Nikkole dated on and off throughout Lyle’s first years of life. Nikkole finally ended things with Josh in 2016. Last year, Nikkole filed an order of protection against Josh, writing on Instagram that she was “terrified” of him, and that Josh had allegedly threatened to come to Michigan and kill her. In an emotional (and now-deleted) Instagram post last year, Nikkole discussed Josh’s struggle with mental issues and drug abuse. Josh is currently awaiting trial in Texas. Nikkole has yet to publicly mention Josh’s latest run-in with the law. UPDATE! In a tweet to The Ashley, Nikkole revealed that she didn’t know about Josh’s arrest until she read this story. stillbirth. Just admit you were looking for attention and messed up as hell. Not that I would excuse it, just want to hear her admit it finally.. I don’t follow social media but I wonder if anyone ever tweets at her trying to call her out about it and if she responds?? Does The Ashley know if her mother still has legal custody of Lyle? Wow…The Ashley breaking exclusives that baby mamas don’t even know about! He definitely does….and what else is crazy, his personality seems to match theirs too. LOL She’s at a job she hates and states it publicly. Idiot. Now she’ll be fired. Hey, maybe you shouldn’t have had more kids! i think nikkole has mental issues too.or else she wouldnt have faked a stillbirth.. This girl should have been picked for TM or TM2. If nothing else for her mom! If I remember there were problems with her filming in the state she was in. She is my favorite train wreck because I remember liking her and her mom. Agreed…I actually liked her on 16 and pregnant….her situation reminded me a lot of Chelsea’s. 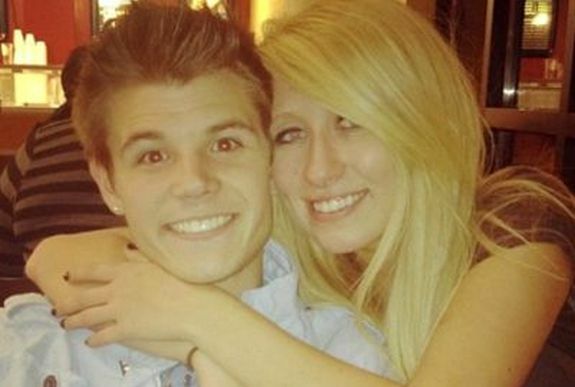 Josh was very mean to her, and didn’t want to be a father to Lyle, but she would chase him and wanted to be with him so bad…just like Chelsea did with Adam…and her mom HATED Josh, just like Randy with Adam….Ive felt like she woulda been a much better choice than Briana, Bristol or Cheyenne….she could bring the drama cuz she’s the epitome of a mess….but she took it wayyyyy to far with that whole stillbirth thing, and I think that’s why she’s not on the show now. I don’t even have anything petty to say. He is a total disaster, and it’s not funny….I hope he can get it together…but it’s not looking like he will. He’a so far gone, I’m afraid of what his rock bottom looks like. Wasn’t he really mean on the episode?? I thought he was one that I couldn’t stand. Yea! he was awful that episode. I remember her mom hated him. He kept messing with Nikkole while she was in labor, and her mom was not having it LOL….she was like JOSHUA, LEAVE HER ALONE!…He wasn’t nice then, and apparently he was on drugs during that episode too….which was kinda crazy to me, because he LOOKED so clean cut…but looks can be deceiving. Even his own mother was telling him to quit being a jerk when Nikkole was in labor! He was nasty towards Nikkole and her mom in the episode.